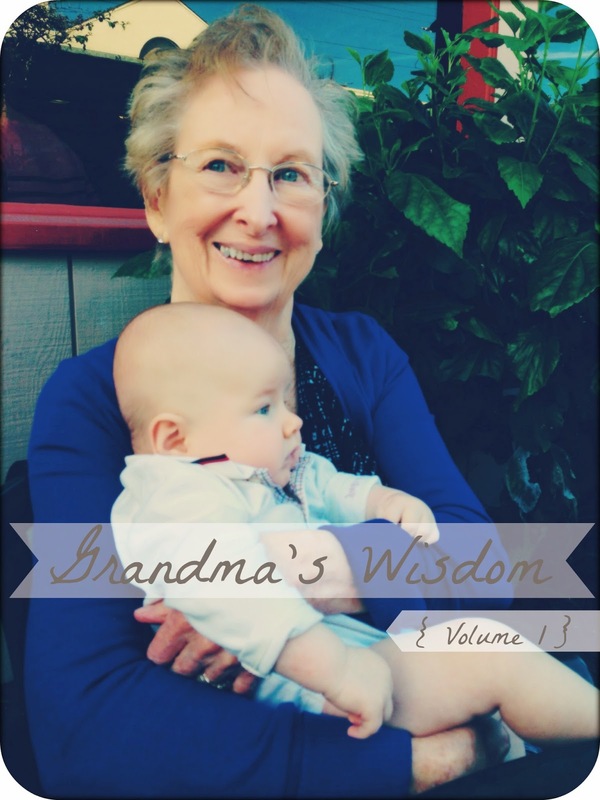 In light of Mothers Day weekend, I want to kick-off a series I would like to regularly feature on my blog..."Grandma's Wisdom"...to showcase her heart and genius in lessons on life. I hope she will touch your heart as much as she has impacted mine. It is important for women to get together and do something they enjoy doing together. All too often I think we fall prey to never leaving the house because of the duties that tie us there...we always need an excuse, something "Important" to do in order for it to justify pulling us away. It is easier for men *in my opinion* to get together because they are naturally involved in things that bring them together in a community- golfing, participating in a softball, bowling or soccer league, poker nights, meeting for happy hour drinks after work- you get the idea. But for women, it's not a natural thing to leave the house, justify the expense and make the effort to meet up with friends, but we probably need it the most!! Adult conversation, wait what?! You mean we don't have to talk like we are 5?! We need community, we need to connect and we need to enjoy ourselves and let off some steam once in awhile....flat out WE NEED EACH OTHER! Honestly "golfing" can be done on any budget or it does not have to involve money at all, just time, spending time on yourself and for yourself, is the real kicker...especially for moms *enter the mommy guilt*...just do it! All Mommies need time to recharge, refocus and be rejuvenated. And please, for the love of Pete, DON'T FEEL GUILTY about it! It is important for guys to have their "guy" time and ladies to have their "lady" time. We cannot give what we do not have, so we need to make sure we receive our happiness in our souls so that we can pass it down to the little ones we nurture everyday. The point is that all too often women do not take the time they need for themselves. This is not a rant on the hubby's by any means, Mike practically pushes me out of the door whenever something comes up I am interested in, he is very supportive of this. It is ME - I am my own worst enemy - I battle with myself to go out and DO something for myself or enjoy the company of others. It is hard to justify the means and time to do something for yourself, but it is soooo important to do it. So thanks Grams, for being an example to me that "Golfing" is not just for the boys! So ladies...tee it up! .........FOUR!!!! So true Laurel! Amen sista! Now the tough part.....doing it! haha, right?! How very sweet! And such words of wisdom. It's very easy to feel very guilty for doing 'you' things. Great pictures. Morgan, I know...truth! Thanks, I think the pictures are so cute too!! Ugh, speak to me Cassie! I'm so bad about this. I have days and even *weeks* where I am DYING for some alone time out of the house. Then a friend will ask me to go for a drink or come watch a show with them and my immediate thought is always... no! No way, I couldn't possibly.. I have to give Emmett a bath and rock him before bed. Or I need to work or clean or just go to bed early with a good book. Ray always tells me I'm crazy because with one breath I'm complaining about cabin fever and in the next I'm turning down an invitation to hang out with a friend. I just feel awful spending money or time away from my family. It's so silly! Ray does not have this problem at all. I really need to work on this. Great advice Grandma! I know Grams speaks to MY heart like crazy!! She is an amazing lady. I completely agree! I'm not a mama yet, but sometimes I just CRAVE alone time to relax and renew. I often feel guilty, especially if the house is a wreck, but it's so important. Thanks so much for sharing, and thanks for linking up with us!